Prof. Yutaek Seo has been studying gas hydrates and multiphase flow for more than decade. 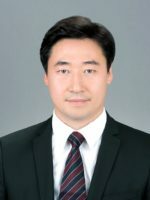 In his Subsea Engineering Laboratory in the Department of Naval Architecture and Ocean Engineering, Seoul National University he is investigating various research topics related to multi-phase flow and flow assurance issues. Due to temperature and pressure changes in subsea flowlines solid deposition issues such as gas hydrate, wax, and asphaltene are possible. Solid deposition and prevention strategies must be studied together with multi-phase flow simulation and thermodynamic fluid characterization. Current research projects are focusing on the two phase flow characteristics in flow loop and hydrate risk management with under-inhibition of MEG.